Save Marinwood-Lucas Valley - our community, our future: Eric Dreikosen, Marinwood CSD tepid response to Illegal Tree Removal on the Nature Trail. 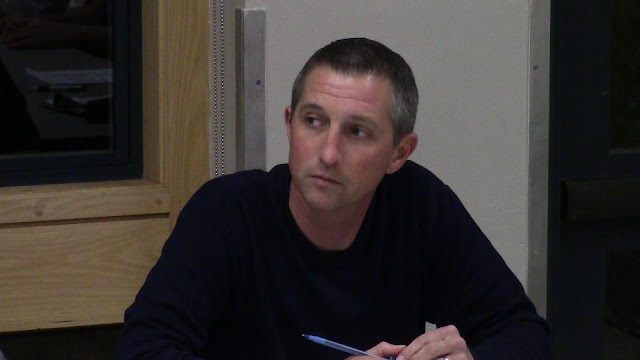 Eric Dreikosen, Marinwood CSD tepid response to Illegal Tree Removal on the Nature Trail. Here is how the Marin Board of Supervisors responded to a similar situation in 2010. Marin County will throw the book at a San Francisco dentist accused of vandalizing McNears Beach Park by cutting eucalyptus trees. Marin County supervisors emerged from a closed session Tuesday to report the county will sue Dr. Rebecca P. Castaneda in civil court for damages after the tree cutting in which one eucalyptus was chainsawed and others stripped of branches this summer in an apparent bid to open up a backyard bay vista. Castaneda was charged with one count of felony vandalism and two misdemeanor counts of illegal tree cutting in a complaint filed by District Attorney Edward Berberian in Marin County Superior Court on Monday. But the county board agreed that in addition to the felony case pursued by Berberian, the county will press a civil action. "The board has authorized county counsel to file a civil action against Rebecca Castaneda and any other parties county counsel determines are responsible, in connection with cutting of trees on or about Aug. 3, 2010 on county property in McNears Park," the board said in a written statement distributed by president Judy Arnold. Arnold did not elaborate but Supervisor Susan Adams said all agreed that "there should be a clear message sent that destruction of public property should not be allowed to happen." Adams added it was unfortunate Castenada "did not call me" to discuss the tree issue in her San Rafael-area district. Officials have said the county might recover "treble damages" in civil court, and one county estimate put the damage at $80,000. Castaneda's attorney, Marc Stolman of Larkspur, has called the vandalism charge filed by Berberian ridiculous, saying "the real issue ? is the county's failure to maintain the trees." Stolman was not immediately available for comment on the county's civil suit. The towering trees are just below Castaneda's home at 64 Marin Bay Park Court in a gated subdivision off Point San Pedro Road, north of the entrance to the county park. Editor's Note: Mr Dreikosen's response is glaringly inconsistent. Several months ago, Alan Miller, 50+ year resident of Marinwood and Marin IJ writer asked the Marinwood CSD to help pay for landslide repairs after a landslide from Marinwood open space destroyed his backyard. Dreikosen stonewalled the Millers and the last reports were the issue may have to be resolved in court. Dreikosen has refused to mediate against the advice of many residents.